Are you happy or unhappy with the game name. Are you happy or unhappy with the gaming graphics. Are you happy or unhappy with the games betting range. Are you happy or unhappy with the payouts or winnings overall. Are you happy or unhappy with the game information provided about the game. 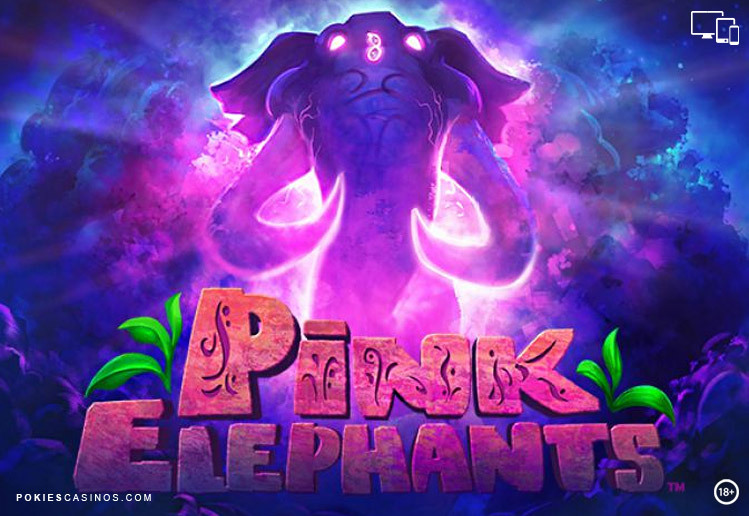 Pink Elephants is powered by the unique software gaming company Thunderkick and offers 4 096 Ways-to-win, with 6 Reels. The 4096 ways-to-win means that winning combinations can be created when there are matching symbols in adjacent reels starting from the left hand side. Pink Elephants is an amusing and imaginative African themed pokie with wild animals roaming the African plains. Get to meet the Meerkat tribe who worship the mighty Pink Elephant. Go in search of the Magic Peanut in order to harmony to the universe. Pink Elephants Pokie displays a large set of the reels in the middle of the screen with a translucent background. There is a beautiful scene of the African plains designed with high quality 3D graphics. The fun animation and bongo drums soundtrack makes this game very attractive for those who want to enjoy some light hearted entertainment. Pink Elephants is a non-progressive pokie that brings big rewards in a fast-paced and exciting way with all the action packed features. The betting limit ranges from 0.10 up to 100 coins. There is a chance to win up to 8,200x the total bet on every spin! The 5 Mystery Scatters can give access to the Bonus Game feature where up to a maximum of 19 free spins can be awarded. The free spins can be re-triggered during the Bonus game. During the Bonus game, the 4 Meerkat symbols can also be transformed into Elephants. Pink Wild – can match any regular symbol except for the Peanut scatter. Peanut Scatter activates the Free Spins feature. The Pink ‘W ‘is the Wild symbol which substitutes for any other symbol except the Scatter. Land 3 or more Peanut Scatters anywhere on the reels to trigger the Free Spins Bonus feature. Win 7, 11, and 15 up to 19 Free Spins depending on the amount of triggering symbols. Land an additional 2 or more Scatters during the feature to get an additional 3, 5, 7, 9 or 11 Free Spins. Get 2, 3, 4, 5 or 6 Peanut Scatters during a free spin to receive another 3, 5, 7, 9 or 11 additional free spins. During the Free Spins feature the aim is to collect Elephant Orbs which fill the symbol meters. When a symbol fills a particular meter, that symbol will transform into the high value Pink Elephant l for the remainder of the feature – with 1 extra free spin! The 4 symbols that can be transformed can lead to 4 extra Pink Elephant symbols on the reels which can award up to 34 free spins! Mystery Scatter feature can be activated during the main game. 1 to 5 Mystery Scatters can be triggered in any spin which increases the chance to win the Elephant Orbs game. The Autoplay option allows players to set the reels to spin automatically without interruption. Just click ‘Spin’ and the reels will turn once the bet has been set. 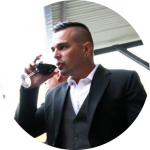 You can play Pink Elephants pokie at one of our recommended Thunderkick Internet casinos below.